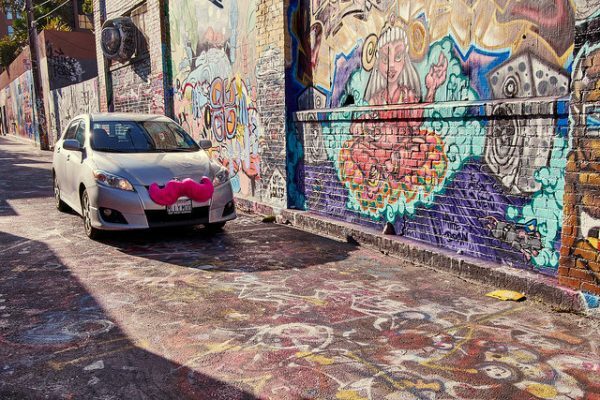 Should You Sell Your Car and Sign Up for a Lyft Subscription? Photo credit: Kārlis Dambrāns, CC BY 2.0. With an All-Access Plan, you get 30 rides (up to $15 each) when you pay one price of $299 every 30 days. Cancel anytime. When you spend less time driving (and parking), you have more freedom — and more savings. Americans who use the All-Access Plan for all of their personal car needs can save up to 59%* per month compared to owning a car. Okay okay okay HOLD UP, Lyft. There is no way you can use the All-Access Plan for all of your personal car needs unless you only need 30 car trips, no longer than 15 minutes each (because you get charged a dollar for every minute you spend in the car, give or take), every month. At $299 for the pass, what you’re really doing is getting a $5 discount on 30 short trips, plus 5 percent off all additional rides. Here, I’ll do the actual math for you. Let’s say you have a 15-minute commute that comes in right at Lyft’s $15 cutoff. At 20 workdays per month, that’s 40 15-minute trips, 30 of which are covered by your $299 All-Access Pass. The remaining ten trips cost you $142.50 ($15 per trip with a 5 percent discount). This is all before tip, so add another $3 times 40 and get $120. So far your monthly Lyft costs come to $561.50, and that’s if you only use Lyft for commuting. As a point of comparison, AAA reports that “the average cost to own and operate a new vehicle in 2018 is $8,849 per year” (yes, that includes “fuel, maintenance, repairs, insurance, license/registration/taxes, depreciation and loan interest”). That’s about $737/month — and if you’ve got a used car, you can cut those costs considerably. So no, I don’t recommend selling your car and signing up for the All-Access Pass. I mean, if you want to figure out how to get rid of your car and still get everywhere you need to go, I’m all for that (and can offer advice) — but the fact that this particular discount exists won’t really help you (unless you’re blowing a lot of cash every month on parking or something). I even did the math on whether it would help me save money getting to/from Sunday in the Park With George rehearsals this month, and it won’t. Also, I feel a little weird about Lyft’s suggestion that you give up your own personal vehicle so you can ride around in other people’s personal vehicles. This isn’t Zipcar or Car2Go, where Lyft is providing a fleet of cars for our use; this is that couchsurfing guy saying he’s figured out the secret to not paying rent. I know this particular rideshare issue has long left the parking lot, as it were, and that it doesn’t make sense that I feel okay about taking the occasional Lyft ride but weird about the idea of a Lyft subscription, and that nearly every Lyft driver I talk to says they enjoy driving for Lyft (and, often, that they dislike driving for Uber). SOMETIMES WEIRD FEELINGS DON’T MAKE SENSE, OKAY? How do you feel about Lyft’s All-Access Pass? Are any of you going to sign up? Is this the tipping point that’ll prompt you to ditch your car? Or did you do the math and realize it wouldn’t save you that much money?